British Prime Minister David Cameron used his speech to last weekend’s Munich Security Conference in Germany to proclaim a “sea-change” in the fight against “home-grown” terrorism in Britain. The Tory leader’s remarks were profoundly anti-democratic. They gave notice that he intends to march in lockstep with the right-wing, anti-Muslim campaign being led by governments across Europe, as they seek to divide the working class in the face of social devastation and imperialist war. 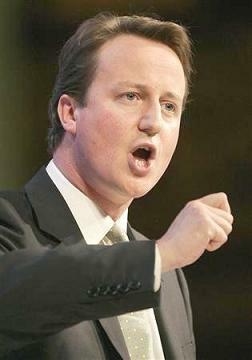 Britain’s experiences, Cameron told the conference, proved that “Europe needs to wake up to what is happening in our own countries”—in particular, that the “biggest threat” was “terrorist attacks, some of which are, sadly, carried out by our own citizens.” Cameron said that the threat came “overwhelmingly from young men who follow a completely perverse, warped interpretation of Islam”. The root cause of such support, he said, was neither social deprivation nor hostility to “western foreign policy”. It was the product of “state multiculturalism” that had “encouraged different cultures to live separate lives, apart from each other and apart from the mainstream.” He demanded that there be “stronger identities at home.… Frankly, we need a lot less of the passive tolerance of recent years and much more active, muscular liberalism”. Cameron’s reference to the “passive tolerance of recent years” could not be more cynical. During its 13-year period in office, Labour waged wars in Sierra Leone, the former Yugoslavia, Afghanistan and Iraq. All were under the pretext of what was first advanced as an “ethical foreign policy” and then, more explicitly, as “liberal interventionism”—precisely the hypocritical invocation of “Western values” that Cameron now resorts to. Under the guise of an accompanying “war on terror”, the Labour government introduced draconian restrictions on civil liberties. Targeted against Muslims in particular, these measures include the imposition of control orders (effective house arrest) on people never charged with any offence. Much of these policies have been continued largely unchanged by the current Tory-Liberal Democrat coalition government. Cameron identified as an extremist view “hostility towards Western democracy and liberal values”—as if the conduct of successive British governments at home and abroad had not made his empty invocations of democracy and freedom repugnant to millions of people. Indeed, Cameron’s speech trampled on such principles. He laid the basis for imposing ideological litmus tests on political organizations; from now on, he said, government funding and collaboration with Muslim groups would be determined by whether they upheld “liberal values”. Those who failed to do so should be denied access to publicly funded institutions, including universities. Above all, Cameron’s conception of “muscular liberalism”— which he counterposed to a society based on “passive tolerance,” where the state “says to its citizens, as long as you obey the law we will just leave you alone”—is antithetical to genuine democracy. Cameron is advancing the conception that citizens must not only do what they are told, but believe what they are told. The state, as he put it, must “actively promote … certain values” that define Britain “as a society: to belong here is to believe in these things.” That is, Number 10 Downing Street must have the right to say what constitutes a thought crime. “Secularism” and “liberal values” are being used as mantras, under which governments across Europe are seeking to whip up xenophobia and justify police-state measures. In that, Islamophobia plays a similar role in Europe today as anti-Semitism did in the early years of the 20th century. It provides a state-sanctioned target for hatred and paranoia, while allowing the ruling elite to pursue its wars and financial policies, as it prepares to criminalize oppositional political or religious beliefs. France, Belgium, Spain, Italy, the Netherlands, Austria and Switzerland have all either passed legislation outlawing the wearing of the veil in public, or are in the process of doing so. Indeed, Chancellor Angela Merkel anticipated Cameron’s remarks last October when she declared that efforts to build a multicultural society in Germany had “utterly failed” and immigrants needed to do more to integrate. The ruling class is especially anxious to prepare such moves, under conditions in which it is carrying through an unprecedented assault on the working class. Having made trillions of euros available to rescue banks across the continent and to prop up the single currency, Europe’s governments are making the working class pay the bill by imposing drastic cuts in public spending, slashing wages and laying off millions. The coalition government in Britain, intent on implementing the most severe austerity measures since the 1930s, knows this is generating massive opposition. The cultivation of xenophobia is aimed at stymieing such opposition by dividing workers along racial, religious and national lines. On this score, Britain’s rulers need no lessons from Europe. In the manner of Enoch Powell’s anti-immigration “Rivers of Blood” speech in 1968, Cameron is reaching for an old and trusted weapon in the Tory Party’s arsenal. It is not mere coincidence that Cameron’s speech coincided with the first-ever national march by the English Defence League (EDL), which attracted 3,000. The EDL styles itself as a “grassroots” upsurge against the threat of Islamic extremism and its consequences for Britain’s “democratic values”. In truth, it consists for the most part of football hooligans and fascists with links to the far-right across Europe that have helped spearhead anti-Muslim propaganda. This is the human detritus that the bourgeoisie is encouraging, with the front pages of newspapers turned over to the march and its spokesman invited on to the BBC’s “Newsnight” programme. The ruling elite can also rely for support on former “lefts” and liberals-turned-advocates of neo-colonial wars of aggression, such as Nick Cohen. He was one of those responsible for the “Euston Manifesto”, defending the US-led invasion of Iraq on the grounds of promoting “Western values” through regime change. Writing in the Guardian, Cohen praised Cameron for being “prepared to stand up for elementary principles” in his “almost pitch-perfect” speech. Cohen’s statements indicate the second objective involved in Cameron’s remarks—the legitimising of further wars. Just as Tony Blair rationalised the illegal invasion of Iraq as a “war for democracy”, so Cameron is preparing the ground for new and even bloodier interventions in the Middle East, the Caucasus and Africa. The ruling elite in Britain, as elsewhere, are shaken by the mass popular uprisings in Egypt, Tunisia and throughout the region against authoritarian military regimes that imperialism has relied upon for decades to suppress their populations. Moreover, it views with alarm the sympathy of working people for the struggle of the Egyptian and Tunisian masses—rightly fearing that it portends a unified struggle by the international working class against imperialism and the capitalist profit system. The march to the right by the European bourgeoisie and the portrayal of “Islamist extremism” as “the biggest threat to our security” is intended as a preemptive strike against such a development.